For some time now the commission established by Cardinal Jose Francisco Robles Ortega and presided by Monsignor Ramiro Valdez Sanchez investigates the presumed Eucharistic Miracle occurred in Guadalajara (Mexico) in the parish of Santa Maria Madre della Chiesa in front of the dismayed eyes of the Reverend Jose Dolores Castellanos Gudino of his parishioners on July 24, 2014. The priest claims to have received instructions from a mysterious voice to open the tabernacle at 3 pm and, after having gathered the parishioners, opening it he found the hosts covered in blood. 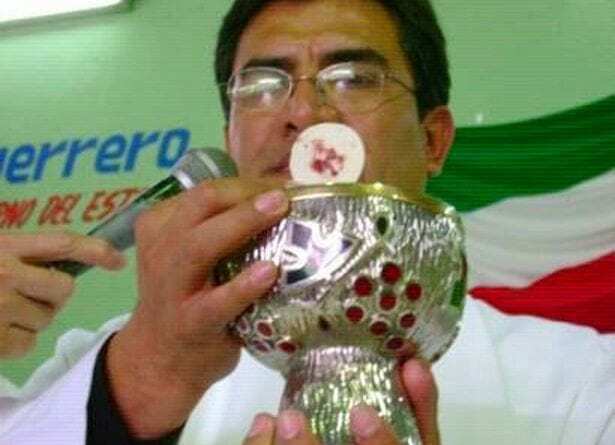 Although this is an inexplicable phenomenon, the Mexican diocese has waited before declare that it was a miracle, since in these cases, for practice imposed by the Vatican, all the tests necessary to exclude natural and scientifically provable causes must first be carried out. Once the exams have been concluded, it will finally be possible to dissolve any doubt and declare that it has indeed been a miracle. 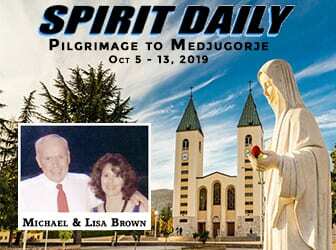 As reported by Father Gudino to the commission on 24 July 2014 while he was doing a solitary prayer, the priest was distracted by a mysterious voice that told him: “Ring the bells to make everyone come here. I will pour my graces on those present and throughout the day. Put your little tabernacle on the church altar that you use for private worship, and put the big monstrance near the little tabernacle. You will open the tabernacle only at 3 o’clock in the afternoon, not before “. Father Gudino did not understand what he was hearing and was even more surprised when the same voice added: “I will perform a miracle in the Eucharist.The miracle will be called ‘Miracle of the Eucharist in the incarnation of Love together with our Mother and Lady’. Copy the image that I will give you now and show it to the people “. Surprised but convinced that the voice was just that of God, he waited for three and when he opened the pyx he saw the hosts completely covered in blood. 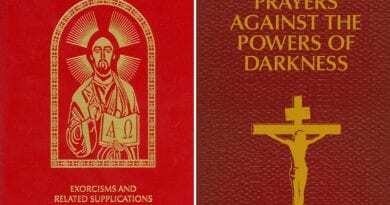 The priest also told the confreres that the voice asked him to erect a chapel for adoration once all the scientific examinations had been completed. 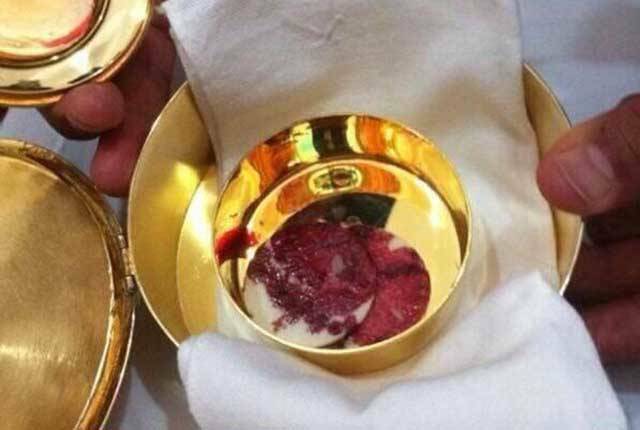 All that remains is to wait for the results, in the meantime the pyx with the consecrated hosts covered by the blood must be kept closed and can not be shown to the faithful by order of Cardinal Ortega. A Special Message Honoring the Queen of Peace will be announced soon. Yes–you’re right. How exciting! Jesus I Trust in You.